One of the best ways to shut people up about their simplistic views on Africa is to point out these great African empires that shocked the world. Africa tends to be depicted, as a whole, as backward and poverty-stricken. The purveyors and the believers of this image, however, forget some pertinent facts about African empires who had mighty effects on the world. To counter these views, it helps that we ourselves learn of these African empires and what exactly made them special and worthy of note. The Kingdom of Kush, one of the African empires in question, is not to be confused with the Kushan Empire of Asia. The empire is most remembered as “the Nubian Pharaohs who conquered Egypt” but their history is far more complex and impressive. The Nubians are the Southern neighbors of Egypt who have been known to have an uneasy relationship with the Egyptians over the years. Nubian is Egyptian for gold which they have in abundance in their lands. It was under the kingdom of Kush that the Nubians moved to conquer Egypt and being successful, then established a dynasty of their own. The Nubians were initially heavily influenced by Egyptian art and government. One of the ancient Nubian cultures known as the Kerma Culture built statues of themselves in Pharaonic style; and the upper class, at least, seem to have preferred Egyptian fashions. Many Kushite kings also served as vassals of Egypt for centuries. Egyptians were therefore lulled into a sense of ease when it came to the Kingdom of Kush. The Kushites, however, always considered themselves a separate entity from Egypt. They had their own distinct language, government, economy and religious beliefs. They spoke a language known today as Meroitic which survives only in a few inscriptions. The kings were responsible for maintaining the house of their gods and also performed sacred rituals to ensure peace and prosperity for the land. The people practised a mixture of nomadic herding on the Savannah and settled farming on the banks of the Nile. The population grew and the economy thrived with local leaders beginning to accumulate wealth and new city-states began to take shape. Their metalwork was highly advanced. They had furnaces and smiths churning out huge quantities of bronze tools and weapons — and later, iron ones — for domestic use, as well as for export to neighbouring kingdoms. The Kingdom of Kush in 945 BCE under the Kushite king Sheshonq I allied with a group of Libyan princes and stormed the ancient Egyptian cities of the Nile delta. King Sheshong then founded the Bubastite dynasty and launched a revival of ancient Egyptian culture. Over the years, the Kushite kings moved their bases of operations southward; first to Men-nefer (Memphis), then deep into the Nubian heartland, in the city of Meroë, in modern Sudan, where they built pyramids that still stand today. The great kingdom soon, however, fell. The emerging Kingdom of Axum in Ethiopia captured and burnt the Kushite capital of Meroe to the ground and marked an end to the promising civilization. The Kingdom of Wagadu is another of the African empires in question. In fact, it has been said that it was the first place to bear the name Ghana before President Kwame Nkrumah gave his country the name as a tribute to the great ancient state. One of the most powerful kingdoms in West Africa around CE was that of the Soninke who were descendants of the Central Saharan people related to the modern Mauritanians. It has been said that at some point the Soninke people migrated from somewhere in the Sahara to the place now known as Mauritania. They created a state that would soon become known as the Kingdom of Wagadu —referred to as “Ghana” by later Arab travellers. The ancestors of these people had built settlements of masonry buildings throughout West Africa by as early as 2500 BCE. The towns in the Kingdom had clear street layouts which were surrounded by massive walls. The people traded with others from throughout the Sahara. One of the things they traded included a distinctive copper jewelry set with rare stones from faraway lands. They spoke the Soninke language, along with a collection of other Mande languages related to those spoken in West Africa today. The Kingdom was ruled by a powerful emperor whose power was checked by influential nobles and also wealthy traders who helped finance the empire. The Kingdom had a defined system that saw every position in the society being hereditary. The king could only come from the tunnkalemm, or princely class. The upper echelon of society also included the hooru, or noble class — which also included the mangu, trusted advisers and confidants; the kuralemme, or warriors; and the modinu, or priests. Then came the naxamala, who might roughly be defined as “craftsmen.” Another class was that of the tago, or blacksmiths, who produced weapons, tools, and jewelry; the sakko, or carpenters — who, interestingly, were also valued for their ability to communicate with forest spirits — the jaroo, bards and orators; and the garanko, leather-workers and cobblers. There was also the very bottom class made up of komo, slaves; who made up the bulk of the Wagadu population. 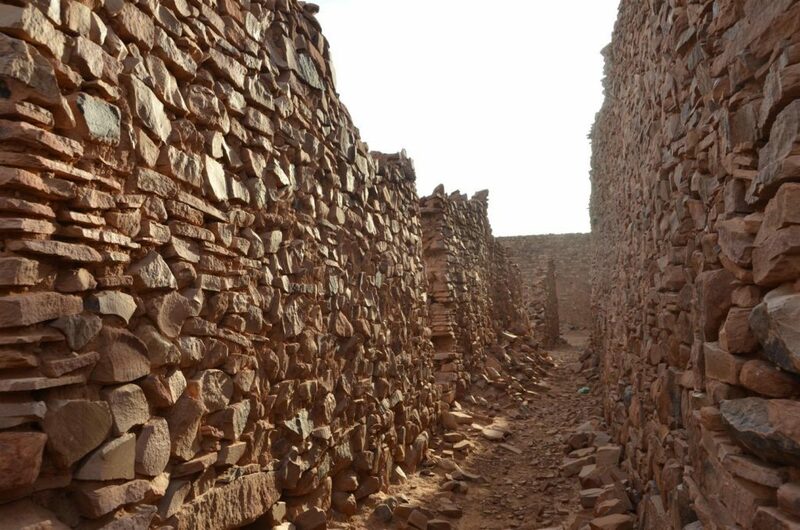 In the 300s to the early 800s, Soninke generals and builders would expand outward covering what is now known as Mali and Mauritania and take control of more trans-Saharan trade routes — specializing in gold, salt, copper, kola nuts, and ivory. The cities grew richer, territories broadened and their kings began living in great walled palace complexes built in the distinctive Sudano-Sahelian architectural style, surrounded by gardens watered by deep freshwater wells. By the 800s Wagadu had firmly converted to Islam and architects built at least twelve mosques and trained many Islamic scholars, scribes, and jurists. The Kingdom of Wagadu would finally be defeated by the Berbers who had been incorporated into the powerful Almoravid dynasty of Morocco. It is said that in that in the year 1327, Mansa Musa Keita I of Mali decided to set off on a pilgrimage to Mecca. When adjusted for inflation, his fortune at the time amounted to $400 billion making him one of the richest human beings in all of history. The tale of the pilgrimage suggests that Mansa Musa’s traveling entourage consisted of no less than 60,000 people and included about 12,000 slaves, all clad in the finest Persian silk. The emperor himself was said to have ridden on horseback with 500 slaves walking in front of him each carrying a staff adorned with gold. See Also: Who Do You Think the Richest Man of All Time Is? While on this journey, Mansa Musa and his entourage spent gold lavishly at every stop, paying for the construction of at least 12 mosques. In fact, it was said that Musa dropped so much gold in Cairo that the local currency dropped in value — creating a 12-year recession in Cairo’s economy. It has been suggested that this journey was a mere campaign to show Europe and the Muslim world that a bold new power had risen in West Africa. 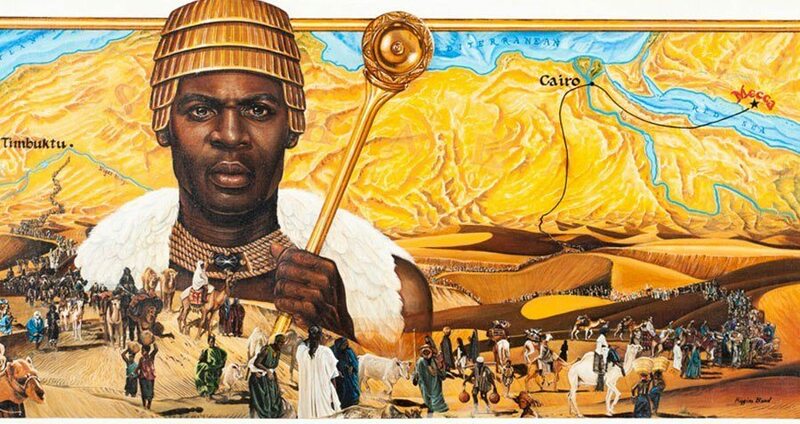 Mansa Musa did indeed manage to rub shoulders with the royal elite of Islamic kingdoms throughout Europe and Asia and stamped the Mali Empire on the map making it one of the African empires that shocked the world. The Mali Empire can be said to have been born out of the ashes of the Wagadu Kingdom. Manden was a province in the Wagadu Kingdom that had been ruled by loyal kings known as faamas, who came from the Mandinka people. While the Wagadu kingdom was collapsing, impossible taxes began being levied and the kidnapping of their women created an atmosphere of terror in the land. Finally, a Prince named Sundiata arose. He gathered all 12 Manden kingdoms into an alliance, along with the core of the Wagadu army, as well as the army of a city-state called Mema. This alliance launched a fierce rebellion against the Sosso, scored a decisive victory at the Battle of Kirina, and expelled their enemies from the land. Sundiata was declared faama of faamas — and also Mansa, emperor of all 12 kingdoms of the Manden alliance, including Mema and the remnants of Wagadu, all at the age of 18. Sundiata’s descendants, known as the Keita dynasty by the mid-1300s had expanded their Mali Empire to encompass large parts of what’s now Gambia, Guinea, Guinea-Bissau, Ivory Coast, Mali, Mauritania, Niger, and Senegal. The Mali Empire drew most of its wealth from trade and to date, Timbuktu is still an inhabited city in Mali, where people still speak the Mandinka, Maninke, Fulani and Bozo languages spoken in the days of the empire.